The very words concrete flooring may create a sense of dissatisfaction in your minds, as we have always known concrete floors as rough and plain flooring. However the trend has now changed. Concrete flooring has evolved from the olden styles to completely innocative and break-through designs in the recent trends. While you might dismiss concrete flooring as just a way to hold up more decorative flooring, you're missing out on a simple way to bring bright colo and life to your home. 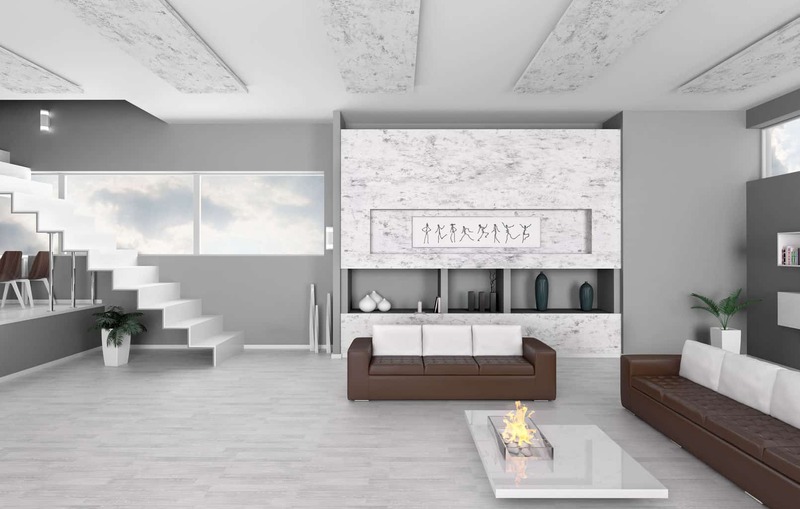 Most interior designers and construction specialists are selecting concrete flooring ideas over tile or marble designs to suit the expectations and the taste of the present generation customers. Most homes have some area where they have concrete flooring. Whether it's the garage, basement, or even main living quarters, there are opportunities to create a warmer, more inviting living space without having to spend the money to layer over it. Save Money as installing concrete flooring is comparatively less costly than other modern flooring ideas. Stained concrete flooring is a great look, when you do it intentionally. This flooring is a marvelous colar mass for passive solar-heated homes, as well as a good surface for radiant floors. But having concrete may not be the look you wanted in your home. In that case, applying a stain is the route to go. Acid stain, one staining option, is not a paint or coating agent, but a coloring process involving a chemical reaction. You get a beautiful mottled look to your floor with this finishing approach. And you could even score a pattern or design into the concrete before it's stained to add interest. Once the stain is dry, be sure to apply a protective coat or two, so the stain wears evenly. is a marvelous solar mass for passive solar-heated homes, as well as a good surface for radiant floors. But having concrete may not be the look you wanted in your home. In that case, applying a stain is the route to go. Acid stain, one staining option, is not a paint or coating agent, but a coloring process involving a chemical reaction. You get a beautiful mottled look to your floor with this finishing approach. And you could even score a pattern or design into the concrete before it’s stained to add interest. Once the stain is dry, be sure to apply a protective coat or two, so the stain wears evenly. Adding a smooth look and cleaning concrete floors becomes easier when they are stained. Concrete floorin﻿g in homes can also be painted. This approach to decorative concrete flooring can be a money saver. You don't have to spend additional money with other flooring options, you just start with cleaning concrete flooring and decorate them as you wish - paint, stain, or etching. These floor designs can be made with stencils or well-placed painting tape in order to use certain colors in certain areas. A polished concrete flooring scheme can look sophisticated and classic. Maintaining a stained or painted concrete floor basically requires regular cleaning and a gresh coat of sealant every few years. Talk about a low maintenance flooring! The shine stays put with regular sweeping and mopping. Though removing concrete flooring is a tedious process, maintaining these floors take less effort and stays stronger for a long time. Concrete flooring repairs are easily done by the honeowner or by a local concrete floor installer. A professional is probably the better person to tend to the repairs. There are several options and a professional will be able to suggest the best concrete flooring ideas for your situation. You can patch the problem, do a concrete overlay, or even an epoxy coating could work - depending on the problem being repaired. If you are planning to paint or stain your flooring, this is just another interesting option. The average price for this flooring is determined by the square footage of surface that you want to cover. Some people even have their original flooring taken out in order to pour a smoother surface - but this is the costlier option. If you can simply clean the floor, it will save you time and money. But there are those that don't like the hard surface and support that concrete provides. A working area is great with the hard design, but in a playroom or a workout room, it might not be the best choice. Always try to save the original flooring if you can, because the options are endless — just like your ideas. One must be careful in selecting concrete flooring designs, as there are numerous designs available int he market and could be quite confusing too. However these designs are customized to meet the requirements of costomers of all tastes and budgets. situation they can counsel you on. Good luck. Let us know what you find out. Some good friends of mine just bought a home that has mostly stained concrete floors. They are dull and don’t look to have very much of a sealer on them. The thought of stripping them seems overwhelming. Is it possible to apply another high gloss sealer over them without stripping? The stain is beautiful and the concrete is scored with a tile pattern, just looking for a higher gloss option. Thanks! Yes, you can apply the high gloss sealer without stripping, however after time, the sealer could start to come away from the concrete or previous layer of sealer. There is also another known side effect that occurs after too many reapplications of a sealer. The coatings can no long breather and moisture can build up and condense under the sealer, leaving white streaking. Knowing that, it is up to you to decide if you want to reapply over the previous sealant. We are converting the garage into a living area and looking for different types of tiles to use on the floor. what do you suggest? Linoleum is a good choice. 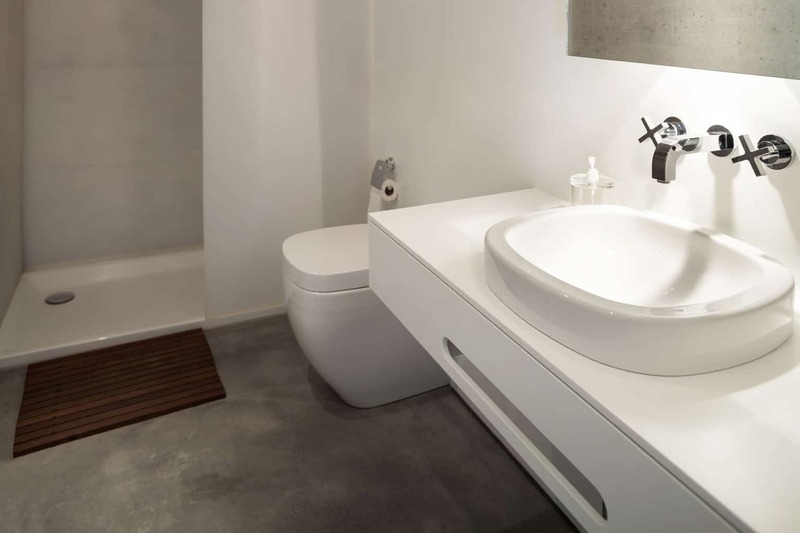 Ceramic and porcelain tiles also are good options, though might feel too cold, unlike the linoleum. Cork tiles would also be a good option. I am very, very seriously considering ripping up my carpet in the family room. We have too many pets and kids to keep the carpet clean and smelling fresh. If I stain or paint the concrete, can I stain or paint over it in another color years down the road if my decorating changes OR am I stuck with the paint/stain color I choose today – forever? Any issues with carpeting or putting wood down again over the painted and sealed floor? You should be fine to repaint in another color later on. The problem with painting over an already painted surface is usually caused by painting with a water-based paint over an oil-based paint. They don’t bond well. I would be sure to use a low VOC (volatile organic compound) paint; Sherwin Williams has one that I like a lot. I personally love bright, vibrant primary colors. And then, especially since it sees lots of activity, be sure to seal it with several coats of a water-based polyurethane (water-based has lower VOCs so won’t pollute the air the kids breathe) like Diamond Coat Varathane Polyurethane water-based poly. I have a stained concrete floor in my home I just purchased. Can I re-stain it so when I stain the other floors after taking up the carpet it will match? THANKS for any help! You can re-stain the concrete floor if it is not sealed. However, the new stain will be going over the old color and will create it’s own results. If you know what stain is on it now, you may be able to match the other floors to it, or after re-staining, try to match the other floors to your new color. We have decorative, stamped concrete floors in our kitchen, bathroom and laundry room. I’m not sure what to seal it with. It has a sort of rough surface that makes it difficult to clean. Not only does dirt get deep in the crevices, but it tears up any mop or sponge we use. So, we want something that will make it easier to clean. But, we also have radiant floor heat and are worried about a sealer turning color because of the heat. Do you have a product to suggest? I recommend water-based Diamond Coat Varathane Polyurethane. You can also check with the manufacturers of your sealer and ask about the radiant floor heat, and discoloration from it. I need a cost effective, low maintenance flooring that is pet urine and water proof. Is concrete the best solution? What is the average cost per square foot? I have a slab (no wood and/or crawl space). Will this decrease the cost by having the current slab surface “prepared”? Or will additional concrete have to be poured on top? I would suggest you speak with whomever the contractor is building your house about at least pouring the concrete. If they can do the manual labor of pouring the concrete, doing the polishing on your own is fairly simple. If they are not familiar with pouring interior concrete, you may want to do some investigating as to why: is it just because it is not a common flooring choice in the area, is concrete more expensive there, or is there another contractor you could work with for the concrete flooring portion of your home who is familiar with the process? 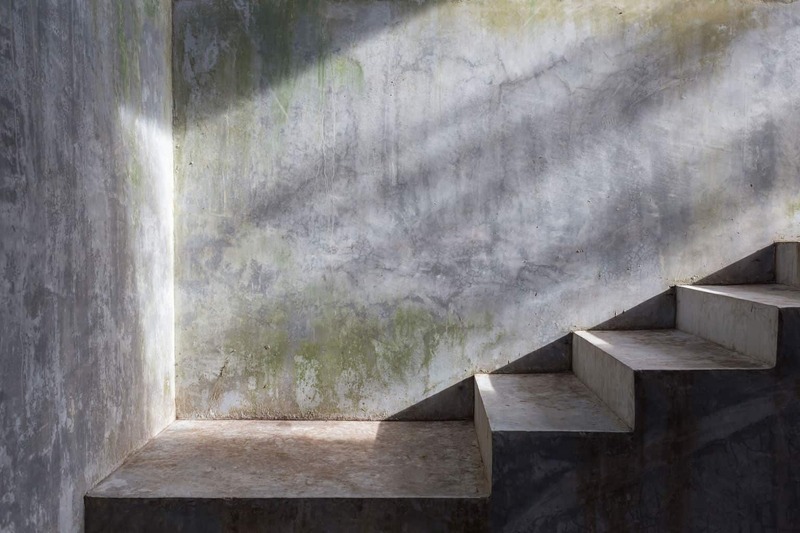 I would think that concrete should be a really common choice in Madagascar, as it is probably the very best flooring option in a humid climate. You may also want to show these videos to your contractor, as sometimes the issue is simply a communication problem. Perhaps instead of “polished concrete” they may refer to this flooring style by a different name. Thanks for your advice. 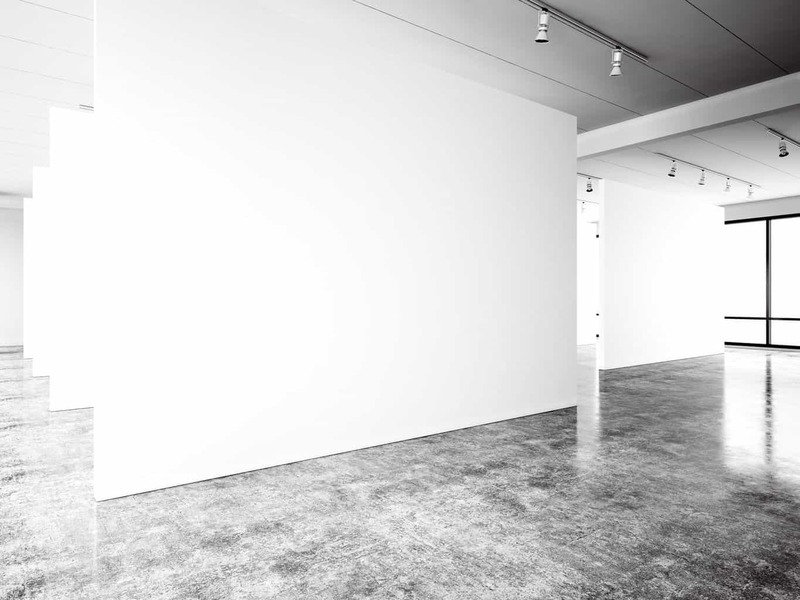 I agree– concrete flooring requires less maintenance and can look great. I’ve never seen painted concrete floors, though. Your article was great, but I think it could be much stronger if you included some pictures!